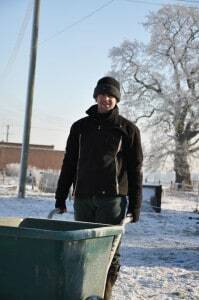 Ben Hollins mana ges Fordhall Organic Farm on the outskirts of Market Drayton as the tenant farmer. He manages the livestock, the farm shop, hog roasts and his catering trailers, with a wonderful staff team behind him. He lives in the farm house with wife Marie-Anne and baby Jamie-Arthur. Ben, with his older sister Charlotte, was born in the 1980’s and grew up at Fordhall with their father, Arthur, and mother, Connie. Both reaching the end of their time in education and wondering what they were going to do with the rest of their lives in 2004 – regenerating Fordhall seemed like the perfect job. 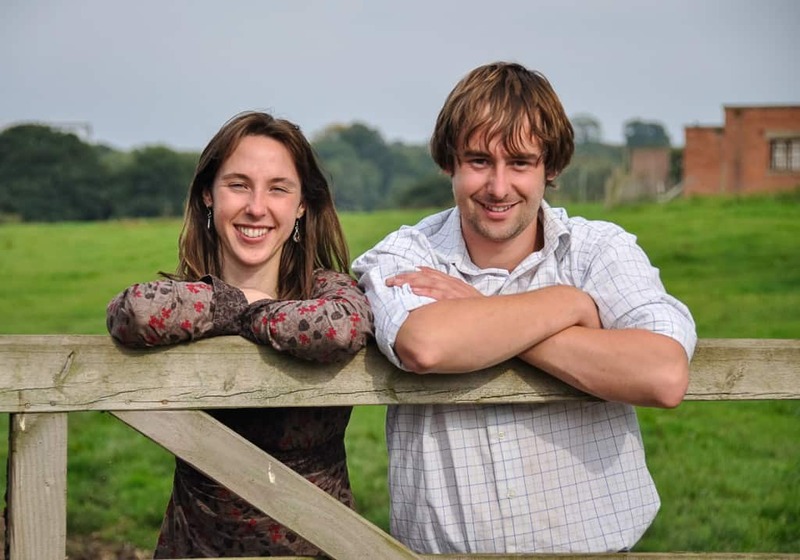 Charlotte had recently graduated from the University of Central Lancashire with a First Class Honours degree reading Environmental Management with Maths, and Ben had completed his HND in Agriculture at Harper Adams Agricultural College. 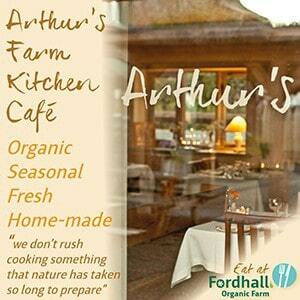 Together, they took over the tenancy at Fordhall in 2004 from their father, Arthur Hollins. Due to the legal battles and eviction notices the family had faced in the 14 years previous to this, Ben and Charlotte inherited a mere 11 cows, 6 pigs and 6 sheep and a very neglected and run down farm. 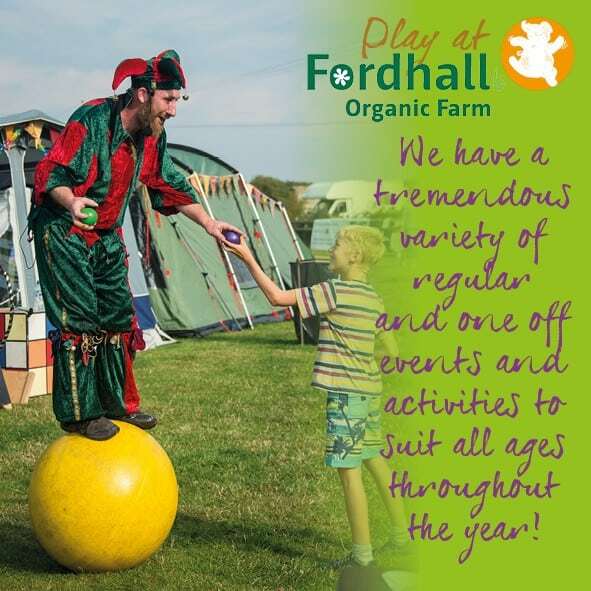 However, they believed that Fordhall had an atmosphere and history that could not be lost and a huge potential that was just waiting to be unlocked. They began to build the farm business by selling their produce direct to consumers and 12 months later, with the help of friend Sophie, they instigated the campaign to save the farm from development through the involvement of the community. Ben now leases Fordhall Farm, some buildings and the farmhouse from the Fordhall Community Land Initiative, after over 8000 members of the community purchased it in July 2006. 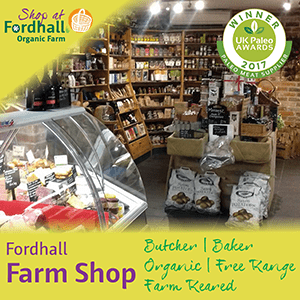 Ben now has a 100-year farm business tenancy agreement from the Fordhall Community Land Initiative (FCLI), with succession rights for his children if they would like to carry on the tenancy. Or, in the event that his children decide not to inherit the tenancy, the FCLI will provide another tenancy to other young people entering the agricultural industry. 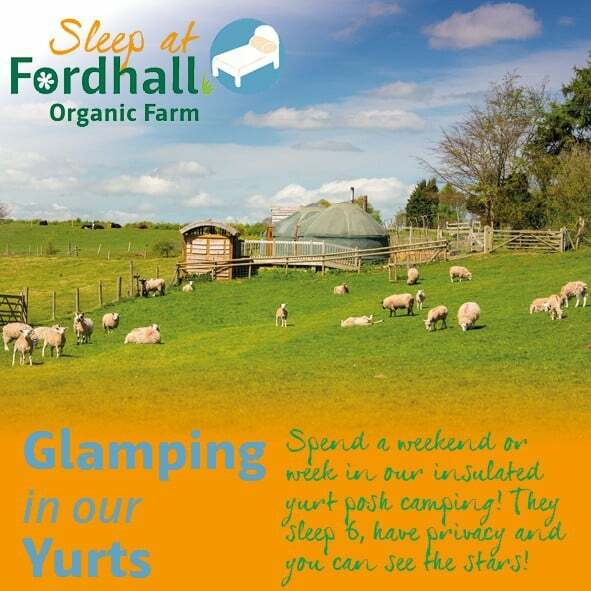 Ben’s farm business, Fordhall Farm Ltd, is run as a commercial business and pays a rent to the community trust. Through the farm business, he is responsible for managing the farmland, livestock and associated enterprises, whilst the FCLI utilises the same land for community benefit and access (see The Community Landlord for more information). And as for Charlotte … well she has found her dream job managing the Fordhall Community Land Initiative. This structure provides accessible land to new and young farmers entering the industry, like Ben and Charlotte. Long-term tenancies are becoming more difficult to come by as landowners become wary of tying up their land for long periods of time, thus removing the potential to sell it for future development. By placing the farm into community ownership for perpetuity, the tenants are given complete security of tenure (assuming they are good tenants) and know that the work they put into the land will help future generations of farmers after them. Simultaneously, the community know that this farm will be there for future generations to enjoy, visit, learn and buy fresh local produce from.